The Segeju of Kenya are the remnants of a once numerous, warlike group of herdsmen. They live in the Kwale district of southern Kenya, mainly in the villages of Kidimu and Simoni. They are struggling to maintain their identity among the more dynamic people groups that surround them. They have closely integrated with the Digo and the Shirazi peoples, and have adapted to the agricultural setting. The Segeju were once so ferocious that they formed an alliance with Vasco da Gama's Portuguese settlers and helped to drive away the Zimba cannibals from Mombasa. Portuguese cleric, Father Monclarco, wrote favorably about them in his 1569 history. In the past, the Segeju owned large herds of cattle and lived on a diet made up almost entirely of cow's milk and blood. Like the larger Maasai group, they braided their hair with red ochre and wore animal skins. 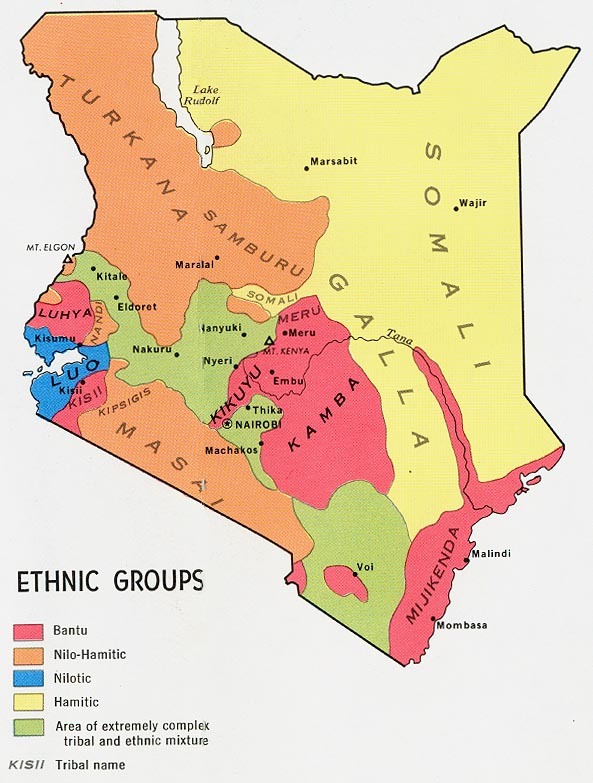 Today, they are far from warlike and are one of the least known tribes in Kenya. In the seventeenth century, the Segeju were forced out of their territory into towns that became important centers of caravan trade. Many of them found employment as porters with the caravans. Over the last century, they have been pushed even farther south until many now reside in Tanzania. The main social grouping of the Segeju is the mlango, or clan. When a woman dies, her funeral expenses are divided among her husband, her husband's brothers, and her siblings. The siblings are not obligated to help the man pay for the funeral because he is their brother-in-law but because he is a member of the mlango. The husband's other wives may even help pay some of the expenses, since they are also members of the mlango. At Segeju weddings and funerals, it is common to hear the sound of the tall war-drums. The drums are carved from the trunks of mchani trees and are covered with tautly stretched ox hide that is held firm with wooden pegs at the open end. Palm-branch ribs serve as the drum sticks. Formerly, all ownership of land by the Segeju was communal and based on the mlango. Although marriage did not entitle a person to membership in the mlango, these ties appear to have given the person equal rights to the land. Interestingly, inheritance laws applied to coconut palms, but not to land, huts, and livestock. The Segeju farmers raise coconuts, cassava, rice, and a large variety of fruits and vegetables. Today, however, many of them have abandoned their land and the mlango system. This is primarily a result of the younger generation moving to Mombasa to receive an education. Today, most of the Segeju live in the typical coral-rag, lime-plastered pole, thatched houses that are found in the coastal villages. Very few Segeju raise livestock, except for an occasional chicken or goat. The lure of wage employment in industry, commerce, and tourism draws most of the educated young people to the big cities. They have assimilated well into the modern coastal cultures, leaving behind the out-dated traditions of the past. Like other coastal peoples, the Segeju have an aptitude for handicrafts. They dye palm leaves in various shades of purple and mauve, braid them into narrow strips, and sew them together to make attractive sleeping mats. They also make hand carved combs, coconut graters, and wooden stools. 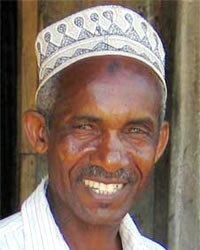 Like many other coastal tribes, the Segeju are virtually all Muslim of the Shafi'ite branch. They believe that Jesus was a prophet, a teacher, and a good man, but not the Son of God. They pray to Allah five times a day while facing Mecca, their holy city. Christian resources in the Segeju language are very limited. 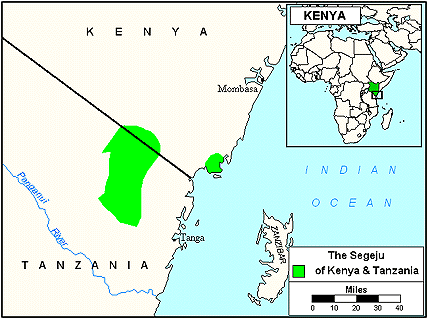 Although Kenya is largely Christian, the Segeju remain virtually untouched with the Gospel. * Ask the Lord to give any missions agencies focusing on the Segeju creative ideas for reaching them with the Gospel. * Pray that God will protect the small number of Segeju believers and give them the boldness to share Christ with their own people. * Ask God to create an openness to Christianity within the hearts of the Segeju. * Pray that God will raise up an army of intercessors who will faithfully pray for the Segeju. * Ask God to give loving Kenyan Christians the burden to share the Good News with the Segeju. * Ask the Lord to raise up strong local churches among the Segeju. * Pray for the availability of the Jesus Film in the primary language of this people.View Segeju in all countries.